Mood board: Andrea Pompilio has quickly proved he's the right man for the creative job at Canali. Windowpane checks, great separates and plenty of the well-built outerwear formed the base of this collection. Best in show: The horizontal striped grey wool trouser suiting sat right on the edge between cool and classic - exactly where Canali should be. 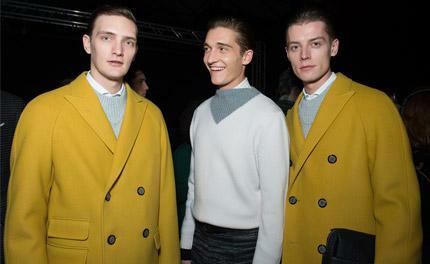 We also loved the Canali yellow - cut into cropped wool jackets.